Today’s news story was a change in the recommendation to not take aspirin for certain heart conditions. Certain patients can experience bleeding issues and this can lead to stroke, aneurysms and other heart issues. For those of you that are frequent blog followers, you know I am not a medical model skeptic. For instance over the weekend I caught the chest cold going around. I got adjusted and took medicine to make me feel better and cope with the symptoms. Adjustments help boost your immune system and help you fight off conditions more efficiently. And the medicine, in my case, helped me with the chills from the fever that were quite annoying. Back on track for the topic of this blog…it is interesting how we see these retractions on a regular basis. Eggs are good for you, now eggs are not good for you. Take one aspirin a day to help with good cardiovascular health. Celebrex is the new arthritis wonder drug..celebrex is causing strokes. There is constantly a revolving door of what is the new medical fade of recommendation. It’s almost like keeping up with all the diets. Don’t get me started on that one! Chiropractic was founded in 1895. 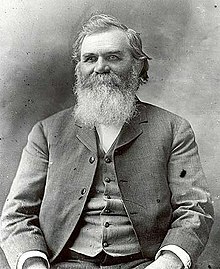 That’s 124 years ago DD Palmer delivered the first chiropractic adjustment. Of course, back then he called it “racking” the vertebrae back into alignment. I’m glad we changed it to adjustment because that sounds pretty violent. For the past 124 years chiropractors have stood by the fact that the central nervous system (brain and spinal cord) are the main control system of your body. This is were disease, illness and proper function can be controlled. “Look well to the spine for the cause of disease,” Hippocrates. Your central nervous system communicates with literally every cell in your body and controls every function, gland, organ, movement, response, hair cell, immune response, cellular repair and destruction…. I mean literally every cell. Chiropractic has always, and I will predict today will always, stay to our main tenet of Chiropractic adjustments to correct vertebral subluxations benefit your health and allow your body to function at its optimum ability.